POKEMON GO! FIND EEVEE & ODDISH! 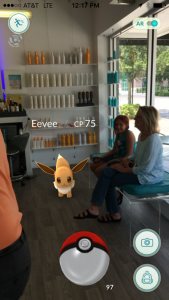 If you’ve been on the internet , or just outside lately, you may have noticed that a game called Pokémon Go is suddenly everywhere. So what is Pokémon Go? It’s an augmented-reality mobile game where players move throughout the real world to hunt for and capture digital Pokémon – the idea is to get people up and walking and interacting with each other… and of course, to catch ’em all! It’s a free download for Android and iOS devices! And although there will always be negative news and people taking advantage of a good intentions thing, lets focus on the overwhelming amounts of positive! 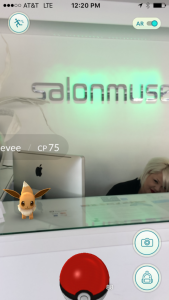 Also, be sure to come visit Salon Muse… because Eevee and Oddish are hanging out here! 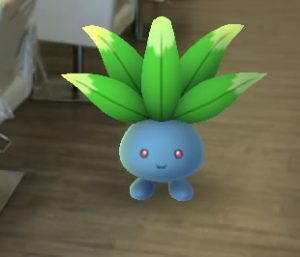 No wonder Eevee has such fabulous fur and Oddish has such great volume!